My name is Bernard Burger, I founded Bernard’s Bespoke, a second generation clothier in 1994 with the goal of providing the finest in men’s bespoke clothing at very competitive prices. Our garments often cost less than ready to wear designer brands, which cannot possibly address a man’s individual physique, as well as, custom made clothing can. 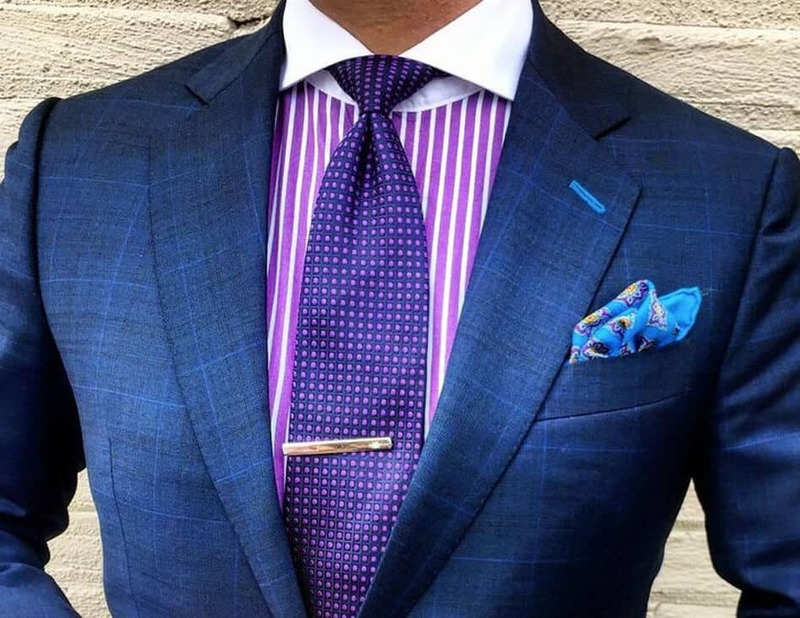 Color, proportion, style, and fine fabrics are the essentials with which we design impeccably tailored clothing for the well-dressed man. I am trained in recommending the best colors, patterns, proportion, and design for the individual. 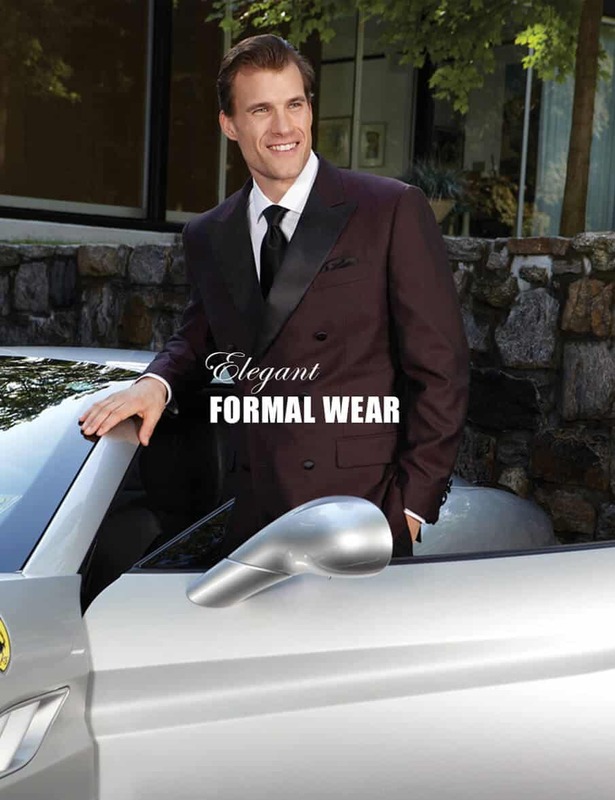 We will help you express your personal style with hand- tailored suits, sport jackets, slacks and shirts, all custom made to meticulous specifications, by the finest tailor shops in the US and abroad. 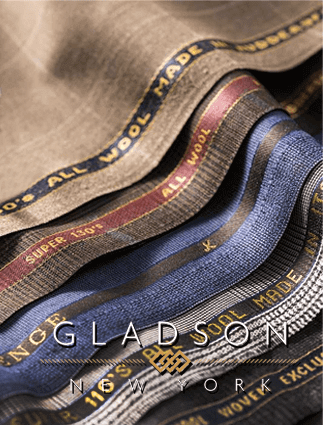 We offer the finest fabrics from companies like Loro Piana, Erminegildo Zegna, Scabal, Gladson, Vitale Barberis Cononico, E. Thomas, Holland & Sherry, Ariston, and Drago. 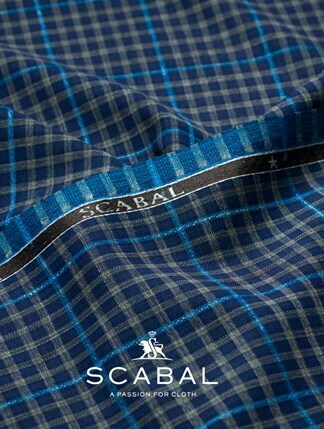 These companies provide us with a vast array of exceptional cloth from which to construct our tailored clothing. 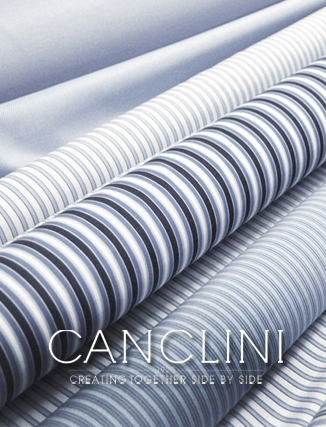 Our shirt fabrics include the finest cottons, cotton- linen blends and 100% linen from Loro Piana, Testa, Canclini, Sotkas, Gladson. We work by appointment, with clients, at their home, or their office, affords unequaled convenience for their busy lives. We aid in the creation and maintenance of their fabulous wardrobes without the need to shop at stores. 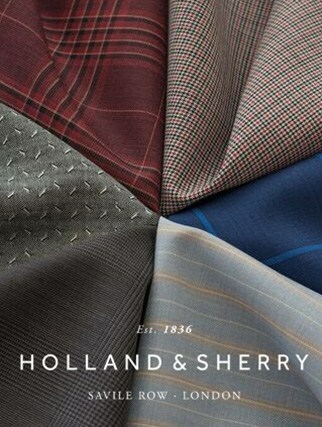 We can provide a larger selection of fabrics with more personal attention than any men’s clothing store could. 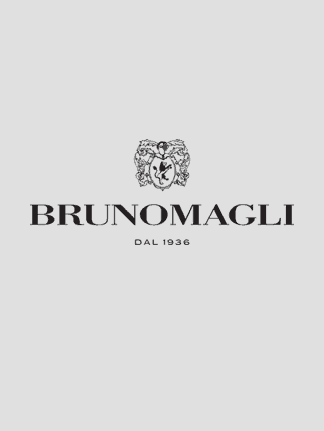 We also sell fine furnishings such as luxurious Italian-made neckwear, stylish footwear from Bruno Magli, and handsome leather and exotic belts by Torino. 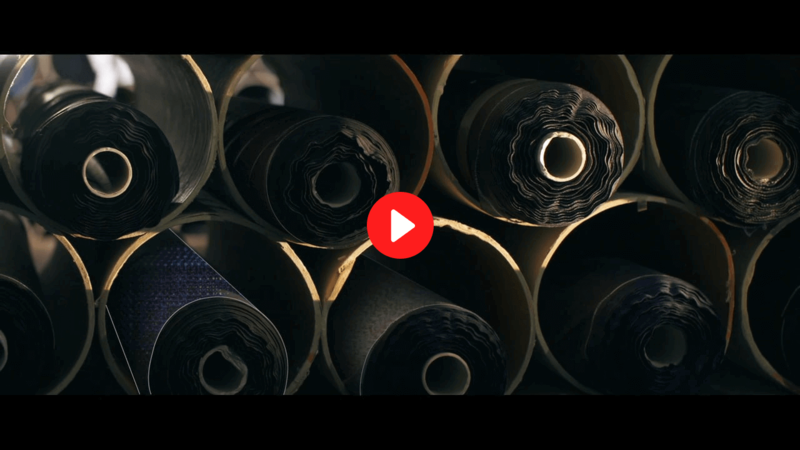 Please browse some of the current fabric selections at the links below and reach out to us if you would like to schedule a personal appointment to review them and discuss your wardrobe needs. 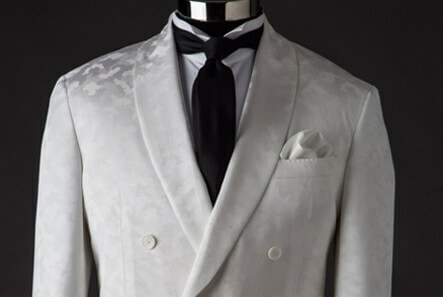 Over the years, I have worked with many different tailors across a broad range, and I believe Bernard is very good. He is very detail-oriented and honest, among other qualities. 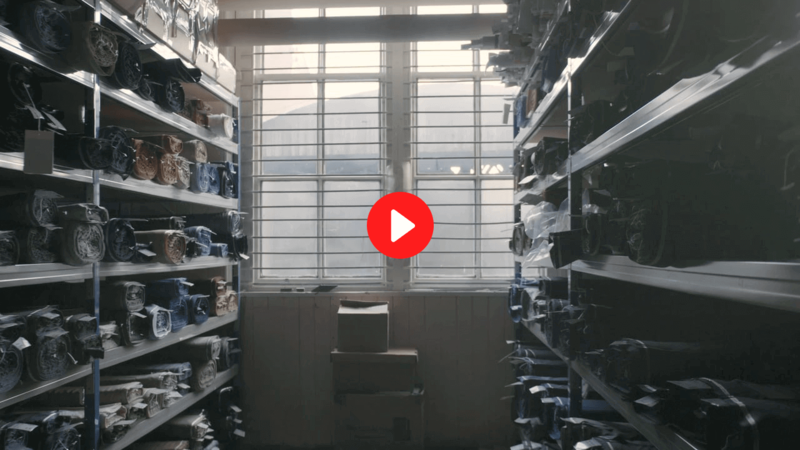 From him, you can order clothes in the exact same fabrics as in many high-end retail stores and tailor shops at a lower price. 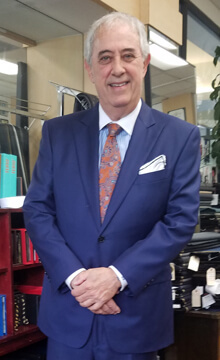 he is very experienced and knowledgeable, and he can, as you know, come to the office or, if you prefer, meet at a nearby tailor shop on Wilshire Boulevard. I have never regretted (other than running out of room in my closet). I have always struggled shopping in department stores. I usually end up walking out with nothing because I’m either frustrated or overwhelmed. I love the service Bernard offers. He comes to my office when my work day is complete and in about 30 minutes I can get all of my clothes shopping done! It takes me longer to drive to the mall. Why try on different outfits when he has measured you to perfection at your first meeting? Pick out the material and pattern and your done. 6 week’s later (at my office) we do a fitting and he then makes the little changes that will make it perfect. 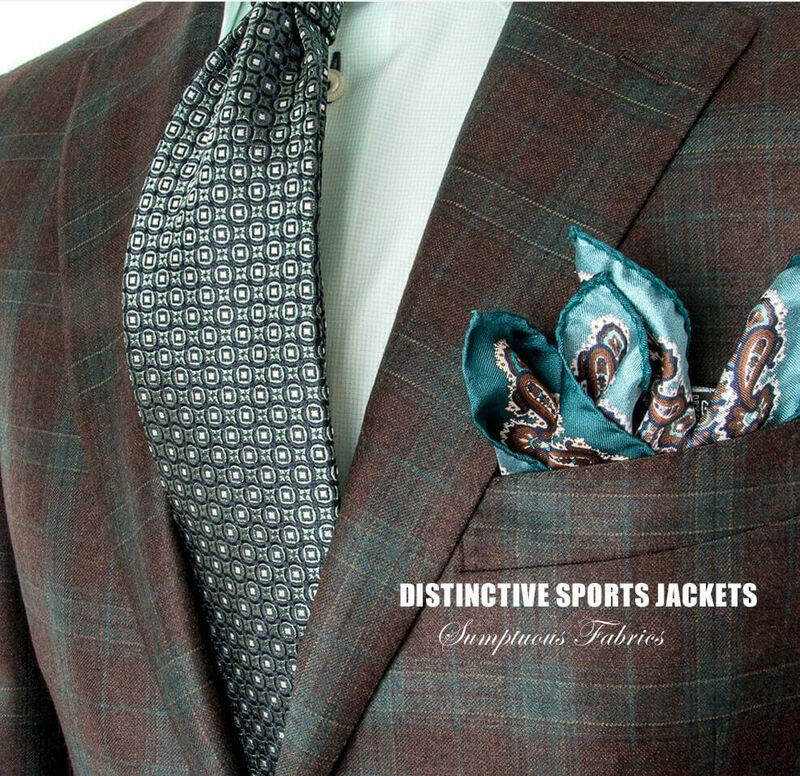 The quality is unparalleled, his service is peerless, and the clothes he creates fit perfectly. I used to always wear scrubs, however the clothes I’ve gotten from Bernard are more comfortable than the scrubs. I tell him “thank you” all the time but I do not think his humility allows him to fully understand how appreciative I truly am and how great I think he is at his craft. They only made one Bernard, feel very fortunate if you are ever one of his clients. Bernard’s knowledge of fabrics and style is outstanding. His attention to details and service cannot be surpassed. He always coordinates his schedule to meet mine and all these qualities make him my choice. I have bought fine shirts and suits from Bernard Burger for many years. He’s the best. My appearance is important for what I do, and I can always be certain that Bernard will make sure my attire is fashionable, appropriate, comfortable and of the highest quality. He’s also a terrific guy to work with! I don’t have time to shop so I use Bernard Bespoke! 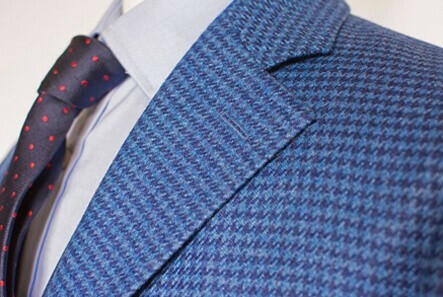 Plus, unlike some other tailor made clothes the product does not sit in your closest. It gets used! that if you create your look with Bernard, you will be just as satisfied as I have been throughout the years. 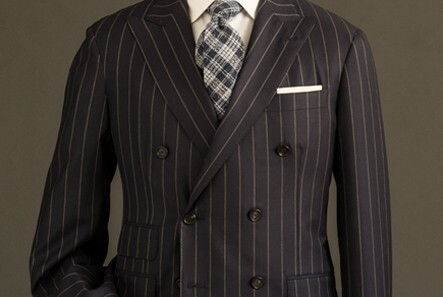 I highly recommend Bernard’s Bespoke…. 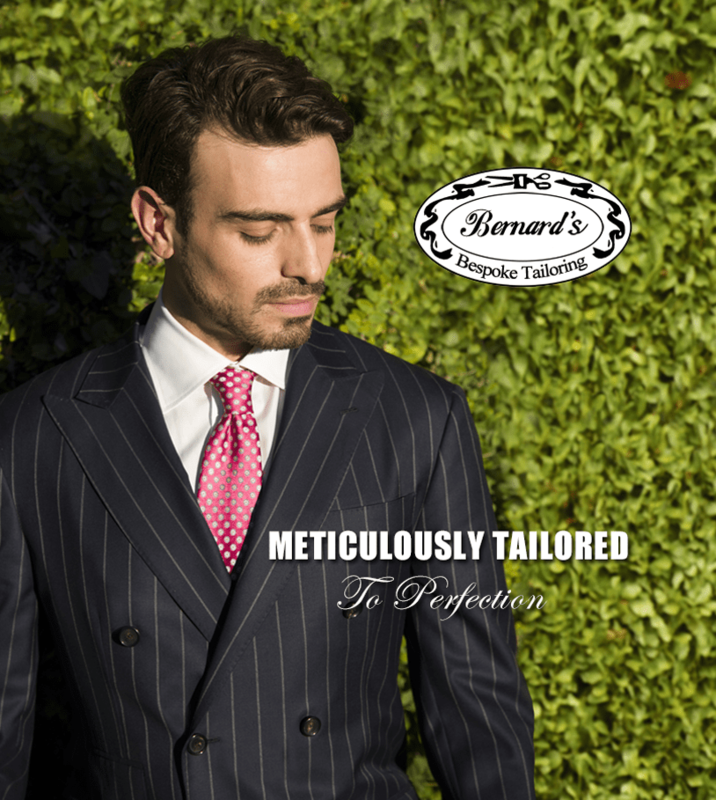 (805) 527-8848 Bernard's Bespoke, Inc.
We are specialists in distinctive Mens Wear and are known for our impeccable workmanship, service and satisfaction.